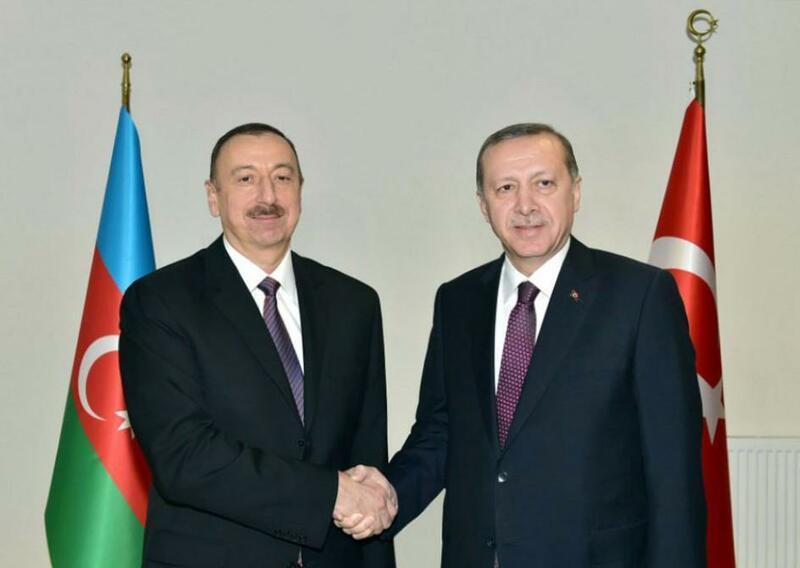 President of the Republic of Azerbaijan Ilham Aliyev and President of the Republic of Turkey Recep Tayyip Erdogan have visited the Alley of Martyrs in Baku. A guard of honor was lined up for the heads of state here. President Ilham Aliyev and President Recep Tayyip Erdogan laid wreaths at the Eternal Flame monument, which commemorates Azerbaijani heroes who gave their lives for the country`s independence and territorial integrity. The Azerbaijani and Turkish presidents then put wreaths at a monument to Turkish soldiers in the Alley of Martyrs. The heads of state signed the guest book here.